Two weeks ago I began sharing some insight as to the new path I am on in response to my digestive problems, and how much better I have been feeling by food combining. Today I will update you on the second change I have made⎯wheat free/gluten free. I can’t believe I am going down this path as I was tested for wheat allergies and have none, so why bother since it obviously was not a problem for me. Ah yes⎯living to eat again! 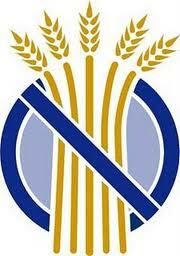 I’ve watched a dear friend, Jean, struggle with gluten free to get on top of her celiac disease, an autoimmune condition. Celiac's must stay away from gluten or anything containing wheat, barley and rye…and now look⎯here I am trying the same thing. So what's up? Who persuaded me to try wheat free? Five weeks ago I had my first appointment with a naturopathic doctor. I have heard of this particular doctor for a few years and know a number of people who have been helped when conventional medicine was not working for them. One of the things suggested was eating wheat free due to the fact many people with intestinal problems, while not celiac or allergic, are sensitive to wheat/gluten. A protein present in many grains, especially wheat. It is responsible for the elastic texture of dough and the light, soft texture in baked goods. It is also used as a starch, binder and filler in many processed foods. Why does it seem more people are having a problem with gluten? "A new study in the journal BMC Medicine may shed some light on why. It shows gluten can set off a distinct reaction in the intestines and the immune system, even in people who don't have celiac disease...Although much remains unknown, it is clear that gluten can trigger an immune response like an enemy invader...People aren't born with this. Something triggers it...One possible culprit: Agricultural changes to wheat that have boosted its protein content." The Wall Street Journal, 3/15/2011, Health & Wellness section, by Melinda Beck, Clues to Gluten Sensitivity. Where does one find gluten-free (GF) products? Fortunately, gluten-free products are showing up at your local grocer. There is even a store dedicated to gluten-free not far from my home. BUT, many gluten-free products are not created equal. Until recently, living gluten-free has been difficult. I watched Jean try product after product, recipe after recipe trying to find food she liked well enough to eat. I am happy to report there are some rather decent gluten-free substitutes showing up every day and Jean is pointing the way. With more and more stores carrying gluten free, obviously GF products are being embraced by a growing number of people who are finding they just feel better gluten-free. When does one start eating gluten-free? There is nothing like the present. I started out cold turkey as they say. It was simple. Just don’t eat anything with gluten. Right! Do you know how many food products may contain gluten? Two weeks later the cravings hit! Off to the store to start trying GF products for the types of food I was missing⎯pasta, bread and something sweet like cookies or muffins. While these products have helped stave off cravings, and I am able to eat corn and rice products since they do not contain gluten, I still need to figure out how to get the right balance of carbohydrates back into my diet. How do you know if gluten-free is right for you? If you are having gas, bloating, intestinal cramping, acid reflux or other forms of digestive distress⎯what are you waiting for? Get the conversation started. I previously mentioned talking with Jean, but I also found the person who owns the local gluten-free store is also GF and so is the health food department manager of the local grocery store. Talk to real people who can guide you to the better tasting foods and then dive in. I previously mentioned food combining as outlined by Sherry Brescia from Great Taste No Pain, but she also has a website for gluten free food combining, Great Taste No Gluten. It can’t hurt and once again, may just help improve intestinal distress. If you are one of the many people with gut issues, don’t let gluten stand in your way. I am using momentum to move forward in my life and will continue to make choices and changes until I find what is right for me. How about you? Are you making the right choices and do you have the guts to make the changes necessary to live your best life? 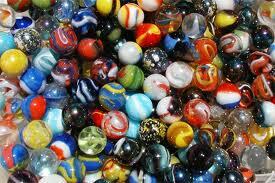 When I was in the fourth grade a few of the boys brought marbles to school, which proceeded to start a new attraction at recess. Before we knew it, many of us lugged coffee cans from home to school and back each day full of our marble winnings, and yes I was one of those marble enthusiasts. At that time, my Uncle Lee was living with our family. I was tired of losing more than winning plus I had my sights set on some choice marbles. He began teaching me the art of shooting marbles⎯in other words: how to knuckle-down, aim my shooter, knock the opponents marble out of the ring and make my shooter stick the spot. I started practicing at home on our bumpy, avocado green carpet. I thought if I could shoot well on my carpet, the fine sawdust in the play fields would be easy-squeezy. Perusing the marbles on my counter brought back the wonder of childhood collections and gamesmanship. Every time I look over the marbles I can’t help but smile. I loved playing marbles because I loved winning something hard fought for, and of course beating boys at something they thought was their territory. These memories remind me of how precious a memory can be and how you just never know when they are going to come flying out after you. Memories that bring joy at any period of time in your life are memories to treasure. I’ve decided to display those marbles from my husband’s childhood in something I can see on a regular basis⎯because I love finding joy in an instant. And by the way, I finally removed the prized red puree I won so long ago from my jewelry box and will now include it in my new-old marble collection. Today⎯I feel great. Feeling good has been somewhat difficult in recent months so great is amazing. I mentioned I was on a new path recently, in response to my digestive issues, in an article about dropping the anger . Today will be the start of a series of three articles outlining what dietary changes seem to be making a difference for me⎯a BIG difference. These changes may even help you should you suffer from gas, bloating, intestinal cramps, acid reflux or other forms of digestive distress. I was introduced recently to Jerry, who suffers from chronic colitis. He has had a very difficult time over the last few years trying to determine what he could eat without causing pain. During the last year he started food combining and feels great! He told me he had followed the plan as outlined by Sherry Brescia in, Great Taste No Pain. I examined her website as well as other sites on the subject. I felt it couldn’t hurt me if I pay attention to eating a well balanced diet. Within the first 48 hours I noticed a significant difference after eating⎯NO GAS! I’ve now been testing this food combining theory for the past 6 weeks and am happy to report that it seems to help. I am still trying to figure out the nuances, but I didn’t want to bog myself down with too much all at once. Most of what I was reading on the subject had the same basic principles as outlined above. What gets a bit confusing is how much time to allow between the different food groups. I am making my food combining efforts my own and will determine what works for me. Over the years I have made various changes to my diet in order to find a balance living with a chronic digestive disease. I love food, I love GREAT food and I love to craft it into amazing meals. I’ve held back on doing more drastic changes because I was holding onto being able to eat the way I eat for as long as I could⎯in other words, I was living to eat. 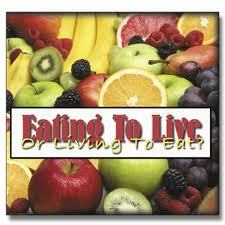 At this time, I am exploring the fundamentals of eating to live. If Jerry could give it a go, so could I. Change can be difficult if you let it, no matter what the change is. It is my choice and I have now chosen to change. I am in control. I am the driving force in my life. How about you? Can you change? Can you be in control? What or who is the driving force in your life? You do it, I do it and I would venture to guess even Thomas Jefferson did it⎯we all delay, put off, postpone, stall and defer⎯we are the great procrastinators. The more we think we have to do, the more we procrastinate. You may even manage to finally get to those “things” you have put off only to find more “things” waiting in the wings, so you can’t even feel good about those “things” you finally check off your list. 1. Prioritize⎯List all the things you have been procrastinating about. 2. Pick one thing close to the top of the list which might take less time than some of the other things on your list. When you start small you have more of a chance to succeed which allows the momentum of succeeding to carry you on to the next thing. 4. Make another appointment⎯if you didn’t finish the "thing" with the first appointment, make another one, then another one until you are done. 5. Place a big check mark on your prioritized list. Now doesn’t that just feel good? 6. Celebrate the moment⎯bask in the glow one feels when finally getting to something they have been meaning to do⎯high-five yourself or do a yippy-skippy dance (my personal favorite)! 7. Return to your list⎯do you need to re-prioritize anything? Select another thing to focus on, make an appointment and keep on making appointments. It’s amazing how many things you can actually get done by just setting time aside here and there. Kay knows she has a long way to go but has decided to take charge and set time aside. She knows starting small is probably the only way she will ever get her things done and change her procrastinating behavior. She knows it is up to her to make an appointment with herself. She wants to stop letting herself down and just do it! 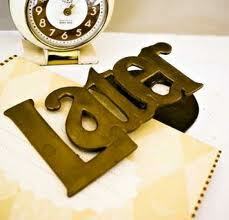 Make it a point to schedule time for your prioritized things. After all, it is really a form of scheduling time for YOU. Knowing you have “things you need to do” can be stressful and only adds more stress. So start small and let the momentum carry you forward. What are you going to do in order to start small and stop procrastinating?